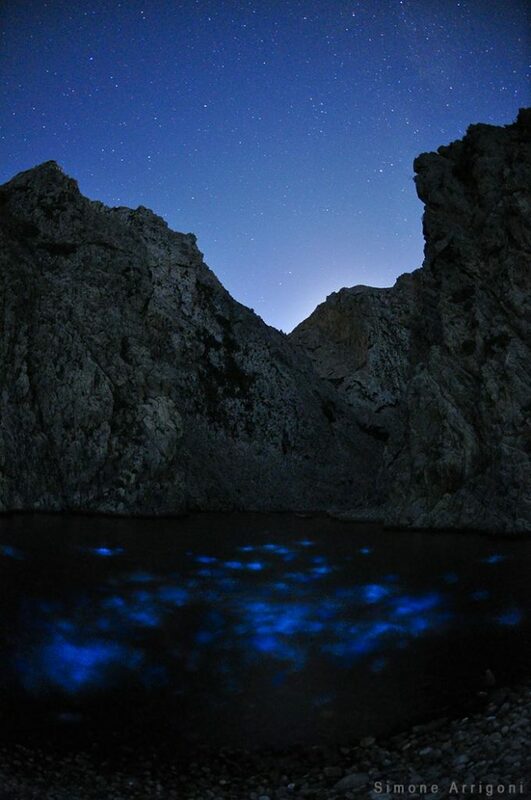 In September 2013 Arrigoni has discovered and documented, with Michela Cecconi, an amazing and unexpected natural phenomenon that illuminated the lake Kakià Lagada, placed between the end of a beautiful canyon and a small beach in the Greek island of Kythera: when they moved its water, it turned biolumiscent! 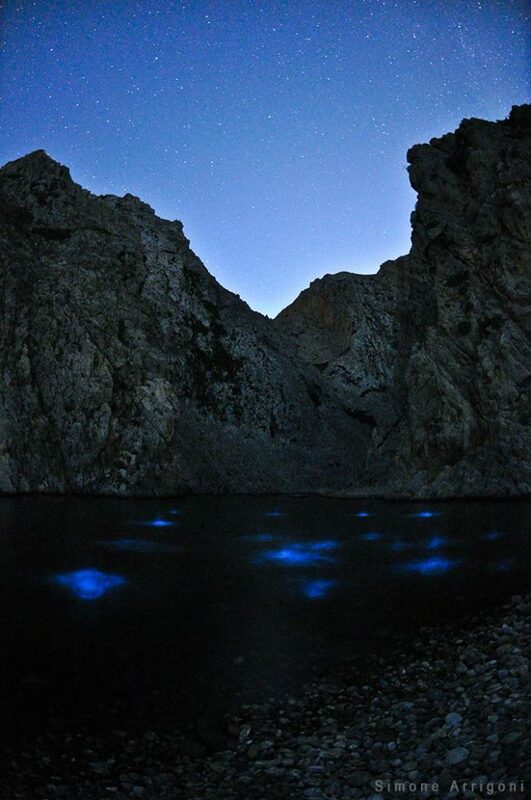 This marvel of nature was never observed in that lake before, it was probably due to an unusual (and probably temporary) high concentration of plankton, in particular of a kind of dinoflagellate protozoa (maybe the speciesLingulodinium polyedrum or Noctiluca scintillans), and it can be considered rare in the Mediterranean, as it is most commonly observed in warm coastal waters of Australia (Gippsland Lakes), Maldive, India and Southern California. 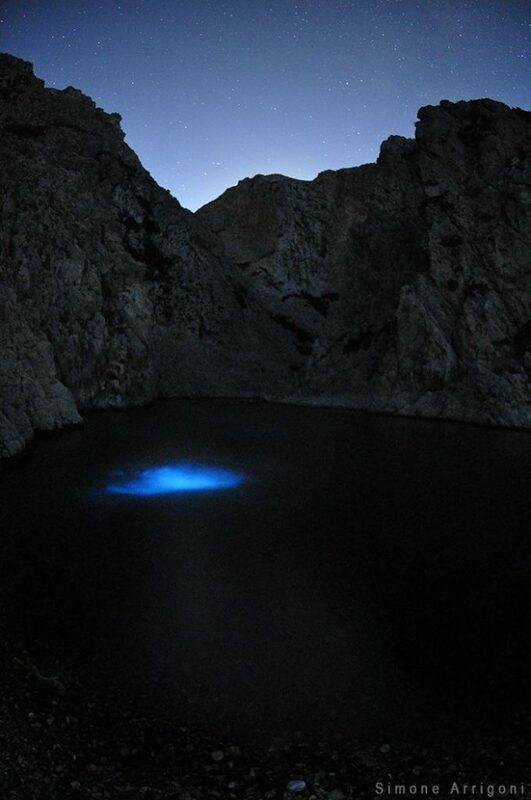 The biologists believe that some dinoflagellates developed bioluminscence as a defence mechanism, lighting up when they sense a predator coming near. The breaf displays of green-blue light were very brilliant to the naked eye, but quite dim for photographic purposes, so that these pictures required long exposures and high ISO.